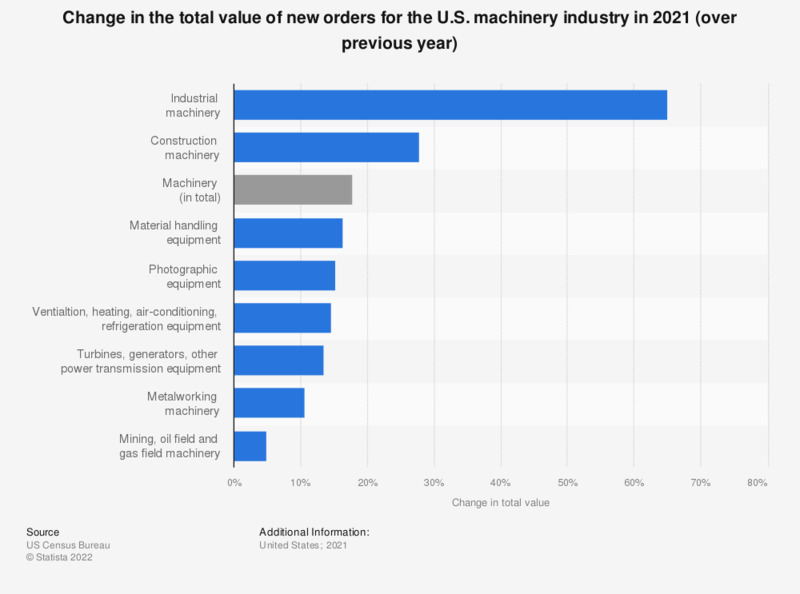 The statistic shows the change in total value of new orders for the U.S. machinery industry as of December 2017, compared with the previous year. New orders for material handling equipment increased by around 9.2 percent over that period. * As of December 2017; according to the source, year to date estimates are for the duration of the period.